The owner of an Oklahoma assisted living center has been arrested for 17 counts of caretaker abuse. Police were first alerted to allegations of abuse committed by the owner of Branding Brook, an assisted living center outside of Vinita, OK, when a 911 call stated that she began a physical altercation with a resident and bit her on the nose. After the caregiver’s arrest, Branding Brook’s 17 residents came forward with allegations of nursing home abuse. The woman now faces felony charges ranging from neglect and assault to battery. The caregiver was released from Mayes County Jail but will face a criminal trial in the future. Investigators began reviewing the credentials and past history of Branding Brook’s owner and discovered that she was not a certified caregiver. The Oklahoma State Department of Health had also ordered the facility to close several months prior to the owner’s arrest. The Branding Brook assisted living facility was responsible for 17 residents of varying ages who required care for assisted living or had previous disabilities. The caregiver was also responsible for administering residents’ medications and managing their finances. According to authorities, she did not provide residents with the necessary care and took advantage of her position. Residents have claimed that the caregiver would frequently withhold residents’ money, deny them basic rights by placing a padlock on the refrigerator, and verbally abuse them, often shouting and cursing at them. Law enforcement officials are advising family members with loved ones in the care of an assisted living or nursing home facility to pay attention to any suspicious signs that might resemble abuse. For now, the residents of Branding Brook are being monitored by another agency, and more charges may arise as the investigation moves forward. 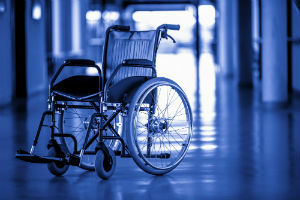 If you believe that your loved one has suffered from abuse by a caregiver or nursing home staff member, do not hesitate to contact the proper authorities and seek legal help from a nursing home abuse attorney. Our staff will fight to ensure that your loved one’s rights are protected and that abusers are brought to justice. First-time clients are always provided with a free initial consultation, and our attorneys will not charge you any legal fees unless we help you or your loved one receive compensation. Contact us today.